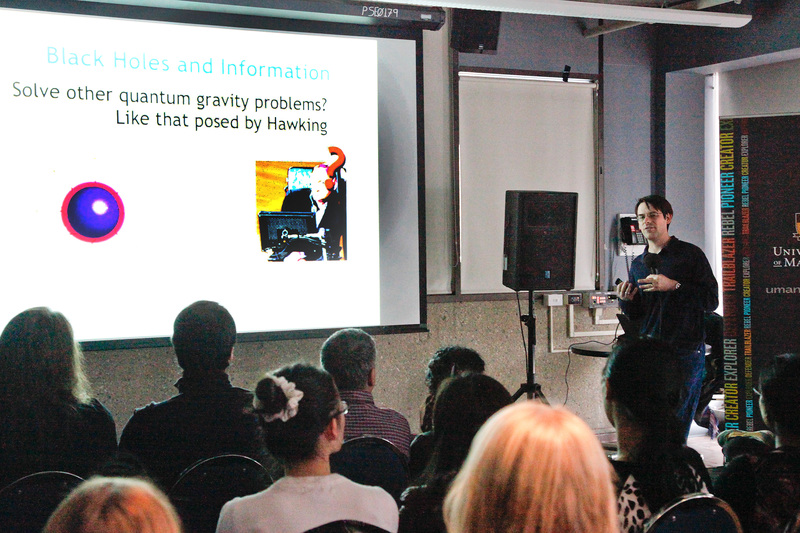 On March 11, ufologist Chris Rutkowski gave a presentation on UFOs at the University of Manitoba as part of Dream Big, last week’s series of space-related events. 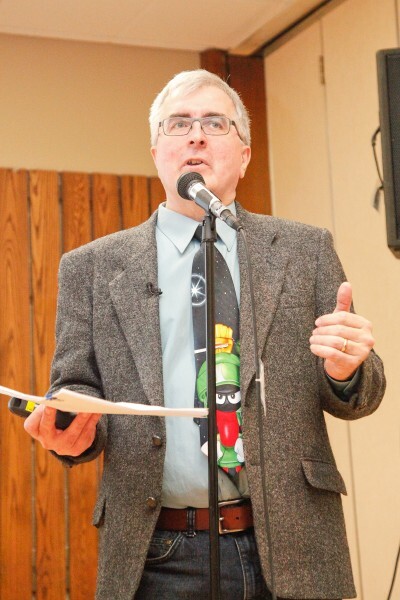 In addition to being a communications officer for the U of Manitoba’s marketing communications office, Rutkowski has a degree in science (astronomy), and has written several books on the topic of UFOs. His recent works include The Big Book of UFOs and the young adult book I Saw It Too! 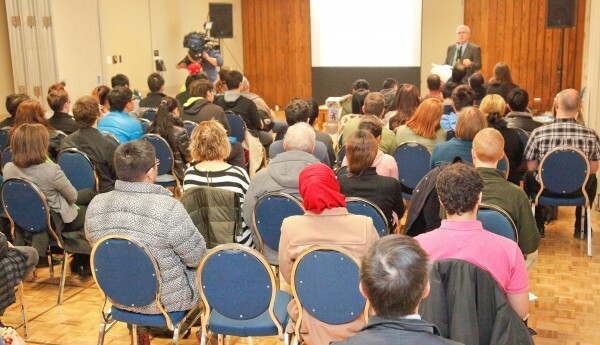 Rutkowski’s talk was titled “UFO Phenomena in Canada,” and focused on three main topics: the facts about UFO reports, skeptical objections, and why science should be concerned with UFOs. “UFOs exist. When I say UFO, what I mean is unidentified flying object, and that is pretty broad. I’m not talking necessarily about alien spacecraft. I’m simply reporting that people see unidentified objects in the sky that they can’t explain,” Rutkowski said. 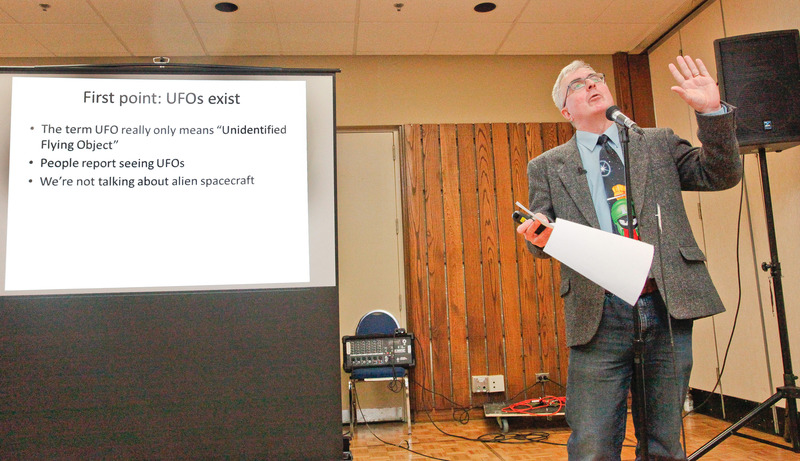 UFOlogy Research of Manitoba released the 2013 Canadian UFO Survey last week. Rutkowski and Geoff Dittman—with whom Rutkowski co-wrote the 2006 book The Canadian UFO Report—analyze and release the data each year. The survey reports that there were 1,180 reported UFO sightings in Canada in 2013, which amounts to around three per day. “[This] is the second highest number of UFO reports reported in a single year since we began doing this survey 25 years ago,” said Rutkowski. He speculated on why the reports have increased, suggesting that the Internet has helped make reporting easier. In a graph in his slideshow, Rutkowski illustrated the occurrence of UFO reports by month. 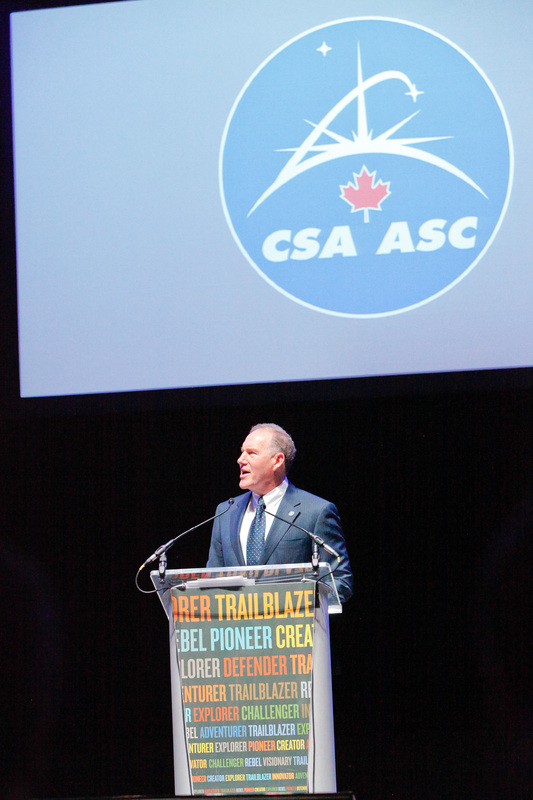 Reports tend to be higher in the summer months because people spend more time outdoors, he said. However, in January, reports are as high as in May and higher than in August. One of the arguments the UFO expert addressed was that people who report UFO sightings do not know any better. Rutkowski explained that people from all walks of life file reports, including pilots and air traffic controllers who have an intimate knowledge of what is in the sky. 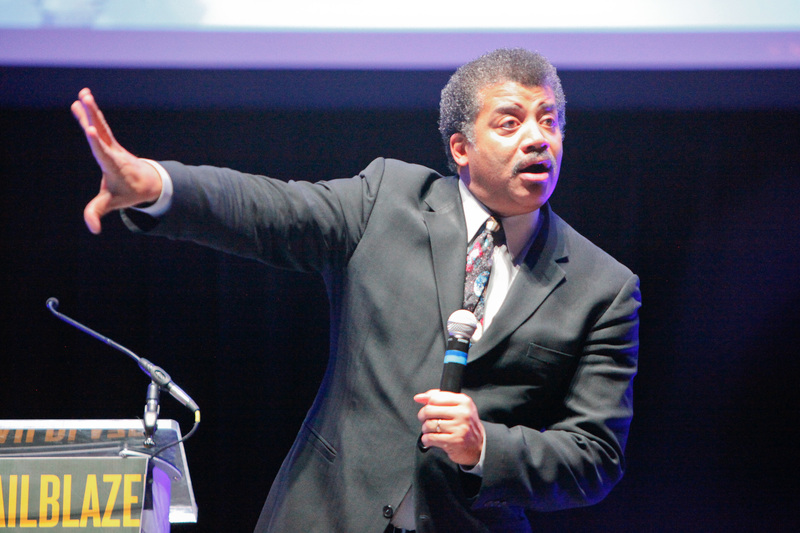 He referenced several reported Canadian UFO encounters, including the 1967 Falcon Lake incident, in which an engineer reported witnessing the landing of a flying saucer. The engineer heard squeaky voices, and when he spoke to the saucer, it took off, leaving a mark in the ground and second- and third-degree burns on his body. The incident was classified as unexplained in a study by the U.S. Air Force. Rutkowski ended the talk by stressing that the government should take a closer look at UFO phenomena. 2 Comments on "‘Keep lookin’ up’"
I believe that there are aliens. But to have them ‘speak’ to humans WOW! I hope that that there will be soon actual contact with ‘aliens’. Perhaps they will clean out the rottenness that is on the earth. David. Age 8, my family and my Dad was an Winnipeg Policeman at the time,so he is good on detail and such,my Dad woke us all up at around 5am, to witness a non conventional aircraft of this world, high maneuverability and stayed in eyesight for aprox 15 mins, then took off at an incredible speed. I seen 1 more in life. im perplexed, Chris you either believe or don’t,this is not a field of on the fence, UFO and 4th kind happen, why we still discuss this in 2014,beyond me. Travis Walton, perhaps should enlighten some or Stanton Freedman.